Rode ribbon microphones are designed to give the most accurate of frequency and detail reproduction, therefore of particular use in recording studios where the capture of nuances is important. 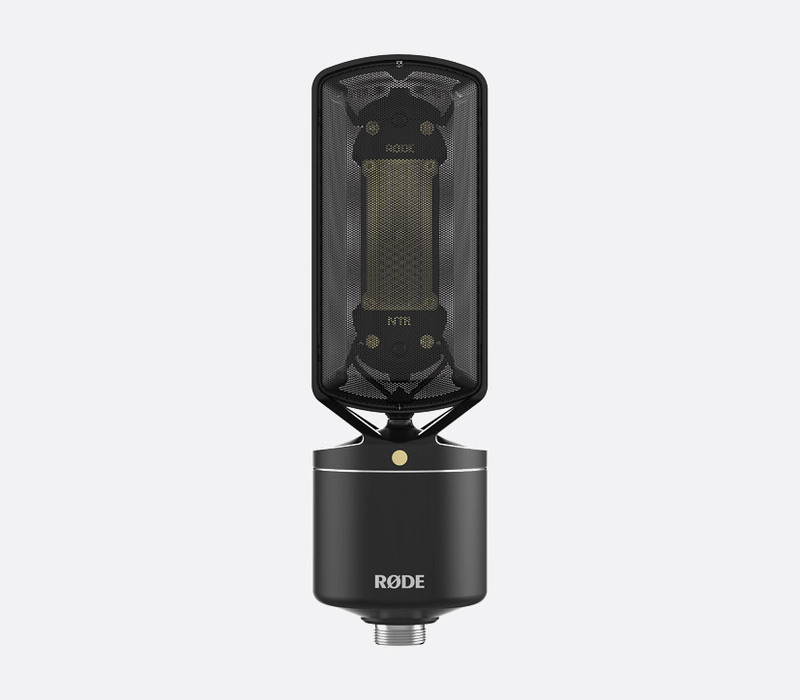 Rode’s NTR side-address ribbon microphone has a figure 8, bi-directional pick pattern and with internal shock mounting system to ensure the cleanest sound reproduction. A ‘chemically etched’ metal mesh offers protection to the ribbon alongside allowing a greater ‘acoustic transparency’. The 1.8micron ribbon has been cut using laser etching technology to give a ‘far more precise cut’ with smoother edging than is normal with manual cut elements. A ‘travel screw’ positioned on the top of the NTR microphone gives the user the ability to lock the shock mount and ribbon in place during transit or when not in use. The electronics within the NTR have been designed to include a step-up transformer and ‘signal balanced preamp stage’ giving the user the option to use with a wide range of existing preamps without additional gain requirements. Included accessories: Rode microphone dust cover, RM2 ring-mount. Rode offer an extended warranty program giving a total of 10 years including the option for one ribbon replacement in this period. To qualify, the microphone should be registered at http://en.rode.com/warranty after purchase.